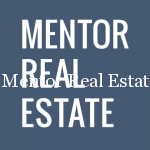 Although this period is not so good time for renting apartments in Belgrade and even wider, Mentor Real Estate Agency Belgrade comes with three extra affordable apartments ten minutes away from city center. All apartments are equally suitable for young couples, small families and business person as situated at one of the top locations all around Belgrade and fully furnished and prices couldn’t be better. And they are real. Have you ever dream to live in a neighborhood of St Sava’s temple, just ten minutes of walk to city center but this was to big attack for your budget. It doesn’t have to be the case any more. We come with outstanding offer. 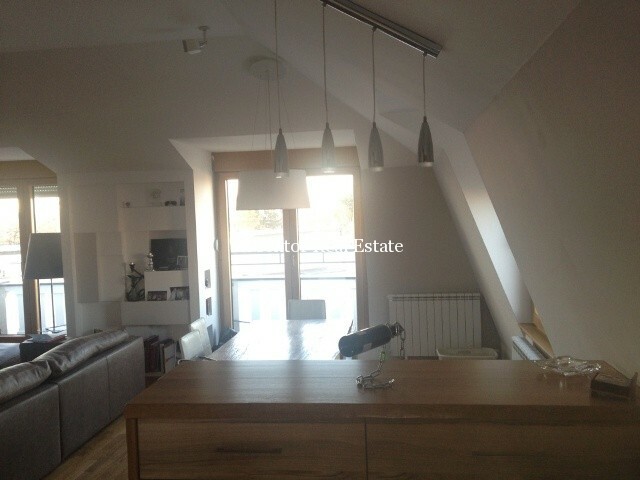 Rent one room apartment in Vračar with terrace and garage for just 600 euros per month. Apartment is fully equippedwith modern furniture and central heating, air conditioner and satellite, cable Internet system. If you need more space for living than you will definitely be interested to take a look at two room apartment in the heart of Belgrade for 700 euros of monthly fee. 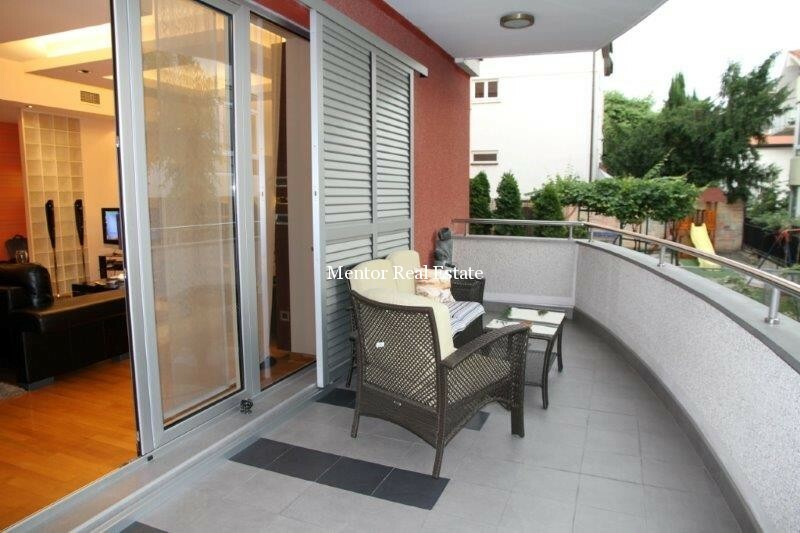 Apartment is in Strai Grad in Višnjićeva street just five minutes away of pedestrian zone in center of Belgrade. 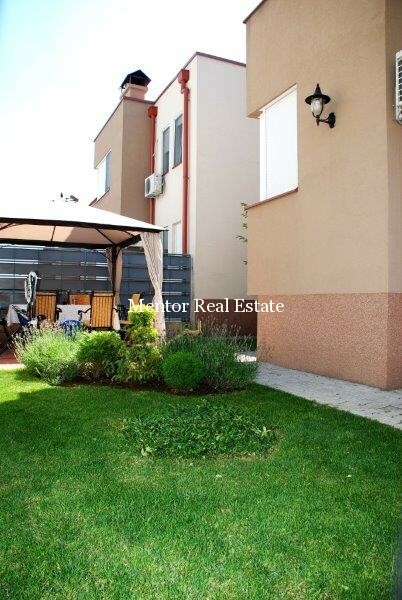 Apartment is rented fully furnished and together with garage place. It has two bedrooms, toilet and bathroom as well as central heating, air conditioner Internet, cable and satellite TV system. If you are searching for nice and warm apartment for your family we bring you third option of an apartment in Voždovac in calm neighborhood near Banjica forest. 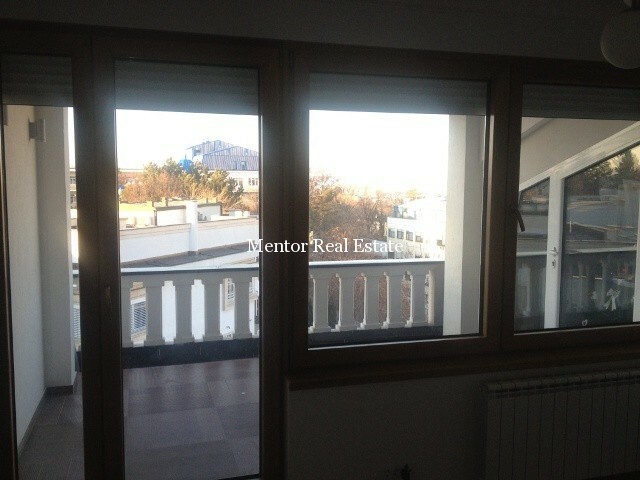 This two bedroom apartment with all furniture and parking place can be yours for 500 euros per month. The price includes central heating and air conditioner, as well assatellite and cable system with Internet. How to negotiate the best property deal for your real estate? No matter if you are selling or renting your apartment, all of us who poses some of the properties want to get the best price out of their sale. Sometimes our expectations are not so real and even out of the prices offered at current property market that even advises of experienced real estate agents cannot break down our wanted price. However, after a long waiting of someone who is ready to pay the price that we want, can make us to sell real estate even below their market value. That is why it is important to know some of the gold rules for negotiation the best real estate deal when selling or renting the apartment. 1. Negotiation start before the sale is announced – Your negotiations for real estate price are starting far more before you contact the real estate agency or you have met with the buyer. One of the most important things are to find out yourself what are the least and the biggest amount you would be satisfied with, so you can have your own negotiation range, before the negotiation have started. However, try to stay realistic and put out yourself of the seller’s place to a place of someone who is paying your property. 2. Always ask more money than you think you can get. – When forming a price you should be honest toward yourself is buying or renting your property. Always ask more than you think you might get, but try to stay in a range of the other prices at the market or the recommended price from the side of the agent, as this can alienate the potential buyers. 3. Never expose the lowest price you are ready to accept for the apartment – In order to get the best price for your property, you shouldn’t expose what is the lowest price that you would accept at the end. This price is dangerous zone as it gives a sign to a buyer that you will accept the overturn of the biggest asked amount. 4. The longer the negotiation lasts your chances for success are bigger – If you start the highest price than you will have to set it down. However, when doing it, let it be gradually and very carefully, as the longer the negotiation would last, your chances for success will be better. Reviewing the offer is real psychological war for both sides where the winner is the one that is more brave and more ready. 5. Always remind buyer on positive sides of your real estate – During this long psychological war at the negotiation board, with every new offer, try to look back at all positive things your property offers, as they might be good reason the opposite side would accept the bigger price. This is one of the ways to remind your buyer that your real estate is more valued than he is ready to pay. How to make your real estate agency benefit from smart phone applications? Smart and mobile phones have become for a while one of the most successful tool for gaining new buyers and renters in a real estate business. Numbers are saying that among the 90% of buyers that are starting their property search on the Web more than 80% are starting their search through smart phones and tablets. However, these are not the only advantages these applications are offering to their users and real estate agencies. Depending of the options that are offered on mobile applications they can improve dramatically the efficiency of your real estate agents as well as to increase the number of visits of the potential buyers and renters. In a very short time you can improve the competitiveness of your real-estate agency and to return all the invested money in short. If you are asking how here are some of the ways. Organization of meetings and notes are the smallest improvements that real-estate mobile applications can bring to your real estate business. They can make easier your access to different kind of data you are storing at your site or other archives at your personal computer and Web. With these tools you will be able to reach in any moment to many pictures and video materials even when you are visiting some of the properties with your clients. Some of the applications are specially designed to able you scan the dimensions of properties and to automatically create the plan of the rooms and the position of the furniture, so you can post it in different formats all around the Web. Far best out of all is that with some of these applications with your smart device you can take, post a photo and to describe property from its real location adding the GPS data and the most important places in their neighbor together with other available properties and their prices. We don’t even have to mention that your smart devices will allow you to answer all the customers’ questions andrequest immediately that will able your clients to get all needed information and make easier their final decision for buying or renting a property they have really wanted. While different generations and different categories of people might have different needs about equipment and technical features in their home there are few things that every buyer and tenants want to have in his apartment and that is valued in the same way no matter the budget or the wanted size of the property. 1. Small prices – World economic crisis have influenced that even the wealthiest one calculate with the prices when looking for their new properties and more than ever before buyers are very careful with the prices taking into consideration how the purchase may influence their financial situations in the year that are coming. That is why good price are one of the top priorities of today’s buyers especially if they buy properties with a mortgage. 2. Modest buildings – The real estate recession might be a reason buyers today look for smaller homes that are enough to satisfy their basic needs for privacy for every member of family. However smaller homes usually don’t mean small number of rooms, why real estate agents find today buyers more demanding than ever before. 3. Big comfort – Less space does not mean less comfort, too. No matter how big new home is, need to have walk in closet in a master bedroom, spacious living room, insulated front door, laundry, enough light all around home, but also energy-efficient heating and lightning to cut the monthly community costs. 4. Well organized space – Well used and even better organized space is a must too, and it seems we cannot expect anything different if have to place so much of different things in less than 100 m2. Careful and wise planning of a space is very important for every building that is waiting for new buyer, no matter it is a new building that is expecting its first buyer or this is a property that’s been on a sale for a couple of times. 5. Energy efficient heating – All of these who plan to make investment in buying new living place have the interest to cut the other hidden costs, especially when it comes to heating and electricity bills that are coming every month. If we have in mind how high these bills can be it is not surprising why more buyers are quitting of these properties that doesn’t have installed smarter energy systems that save the energy as well as their money. Perfect office space should fit perfectly both to your business partners and clients as well as the workers. Having in mind that the workers spend far more time than all other clients, than it seems they should have priority when analyzing what are the conditions your perfect office space has to satisfy. How many employees do you have? – Depending number of employees and different sectors you will have to think how big will be enough the place you are renting for your business. Different kind of business dictates different form of layout inside the building. Will the layout work for your business? If the open space doesn’t work for your business than you should definitely look for a place that has already separated offices to escape any other investment with adapting the space for your own purpose. How important is location for your business? – Although location is very important when choosing your officespace, think twice what are alternatives and where you can move your office and still to be very easy reachable for your workers and clients. Often the most attractive locations are quite crowded with people and vehicles that is not bad for making new business contacts, however can be molesting for getting to work and finding parking place for your workers and visitors. Do you have enough storage places and parking place? – Both of these can be quite big problem for all of those who are dealing with any kind of supply services or distribution of different products as these sectors as you will need to provide better attendance to the entrance and enough places to keep all the products from your product line. How big budget do you have for renting new office space? – All previous things will influence dominantly at thefinal rent of your perfect office space, however far before you have decided to start looking for it, you are supposed to calculate how much you will be able to single for your new office place. It would be the best to have all of these for decent price; however it is not always easy to get it. But to get it you should already start searching for it, and you will have more time and more chance to find it. In order not to waste your time we suggest visiting our latest offer of office space in Zemun that fits almost all mention criteria. Great number of people are moving to big cities because of job and studies at least once in their life, however very often are still not satisfied with all the stuff that are following a life in big cities. Most of them are usually not satisfied with speedy life, distances they have to make every day, big crowds and traffic, as well as higher cost of living, but life in big cities offer many advantages and here are 5 top advantages of living in Belgrade. More people – More opportunities – More people open more opportunities for your personal development, for a carrier and changes in your life. This brings people from big cities completely different experience, as well as more people from different interests, cultures and background. Better quality of services – Bigger competence and more companies are guaranteed for wider choice when deciding for some of your partners in different business as well as better service. Far before than in smaller towns, you will be able to try innovations in different sectors and even to bring these innovations in less developed environments. Faster administration – When you are far away from big cities you have to visit them occasionally for getting different kind of permits and documents needed for your business, medical treatments and other bureaucracy requests. Attendance to many other attractions – The most important cultural and historic buildings are usually in capitals and bigger cities, and living here the most important national attractions will be just at your hand. More quality spare time – The biggest cultural and sport events are organized mainly in the biggest cities in the county. Here you can find something for everyone no matter you are in love with music, sport, theater, comedy or clubbing. One is sure you won’t be never bored with that many activities. Real estate in Belgrade even more favorable in 2014. If it is to believe to the trend in local real estate market, period of expensive properties has ended for a while. Although every goods always find it’s buyer, expensive properties in Belgrade are selling rarely recently and real estate prices with continue to fall even in 2014. Some prediction says that in 2014 we will be able to buy real estates near to Belgrade’s city center for about 1400 euros per square meter. The same trend is present even in neighborhood towns and in whole region, and the fall in prices is clear even in a comparison to the prices of the end of previous year. Square meter of residential space in Belgrade in this moment doesn’t overcome 700 euros at periphery and 1800 euros in New Belgrade, Dedinje and Vračar. The most expensive properties cost around 2000 euros per square meter that is up to 5% less than previous year. The same trend is affecting neighboring countries. For example the real estate prices in Budapest are as the same as prices in Novi Sad , and the prices of new properties in Slovenia has experienced fall of almost 15 % in past few years. Although it is difficult to predict to what extent this decline will continue, it is certain in this year will be more difficult to sell older real estates, due to still very large supply of new buildings, very poor purchasing ability of Serbian citizens, as well as the belief that new built apartments are still far better than old apartments and houses, no matter the structure and the way they’ve been made. However, this trend should not jeopardize the sale of luxury villas and fully furnished luxurious houses, because these properties are more or less reserved for a particular group of people, mostly wealthy businessmen and foreigners that are coming to Serbia in bigger number within the past years. This class of people still have very specific requirements on accommodation and the average real estates present at a local market is not always able to answer on it. The other reason for bigger demand of luxury apartments is the fact they are still more affordable compared to the prices of properties in the countries these foreign representatives are coming from. If you have ever imagine your dream house it was definetly gorgeous and spacious, clean and astonishing. Pretty much as our last property for sale, luxurious villa on one of the most attractive locations in Belgrade, that is ready to give you the most pleasant moments and the happiest feelings like you are living your favourite fairytale. This comfortable and well-equipped villa is suitable both for living as well as for office space. On more than 1200 sq m there are 4 bedrooms with their own bathrooms, you can easily change into offices. In addition there is one big working room with big terrace and garage for even three vehicles. Their characteristics make this villa suitable even for diplomatic residence and even for embassy for foreign representatives that are staying in Belgrade. Big hall inside the building is more than convenient for big cocktails and events and showy and magnificent architecture with stylish furniture and expensive lighting will surely impress all the visitors, both your friends, business partners or diplomatic delegations. Regardless the space and its size, this villa is warm and cozy place for unforgettable family time and has even a fireplace for enjoying in romantic moments, but also central heating and central air conditioner and the separate laundry. Inside the building there are already installed both satellite and cable tv system and Internet is available all around the house. Especially interesting is location, as this luxurious villa is located in Bulevar Oslobođenja street, one of the most beautiful boulevards in Belgrade, very near Slavija square, just five minutes from main high way and just opposite of the most beautiful forests in the region, Banjica forest. In the nearest surrounding there are also sport’s center Banjica, Military Medical Academy, few markets and few schools and faculties, together with international school for children. Call us and start living your dream! Renting or buying specious and well-designed luxury apartments usually demand a lot of money, however benefits these apartments offer to their tenants and owners sometimes are worth even much more money then invested. More comfort and more space are just some among others, but customers usually single out less noise as the biggest amenity that you will get with the price you pay for these kind of properties. They might be right. Could you even imagine worse thing then a noise of a neighbored after long and exhausting day at work? Although luxury apartments may seem more expensive than any other type of property at the market all the amenities that you get paying your monthly rent for a luxury residences will spare you any other costs of security system, security cameras and gates if your apartment is not in a calm and trusty area or a monthly fee for your parking space in front the building of your old apartment. Have in mind that all luxury apartments have to fulfill some standards so you wouldn’t even lose so much money and time on searching a building that will satisfy your demand for high standard of living. These include security standards, location, quality of living and all other features that are not so obligatory, however necessary to enjoy any minute of your spare time. So if you are lucky or just persistent enough you can get for a nice price even your own fitness, swimming pool, resting spa area with sauna and jacuzzi, high-tech video and sound equipment, your own romantic fireplace and wide balcony with a tremendous view to one of the most beautiful parts of the city. Luxury villas are usually isolated from a heavy traffic that is why it is very hard to find some in a center of a city, but usually they are very close to it, in some of the most prestigious complex of a town. Luxury apartments are protected and controlled for 24 hours with modern security system and the most of them poses even other protection instruments. So let us hear, how much money are you ready to pay for all of these? 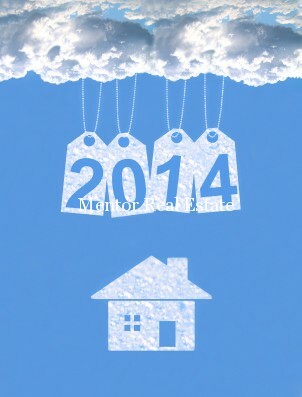 Real estate trends for 2014. New Year is knocking on our door and it is right time to draw a line and to analyze previous year and to make some of New Year’s resolution for the year that is coming. If one of yours NY resolution is to sell or buy a house or maybe to rent an apartment than have in mind some of the following real estate trends for 2014. Suburban is becoming urban – Due to bug number of inhabitants cities and towns are spreading and developing on a daily basis. More of citizens are looking for properties that are located on a nice place that is not in a city center, but that is connected with good connections with other parts of the town. Suburban areas are becoming more urban due to bigger flow of the people who are coming to big city and they are becoming self-sufficient with new infrastructure, new shopping malls, markets and other contents needed for leading quality life. Green is IN – In 2014 even more than now it is expected increased demand for properties with green areas or the one that are near bigger green area. Even small family houses near the biggest cities will be more popular among the buyers and renters. 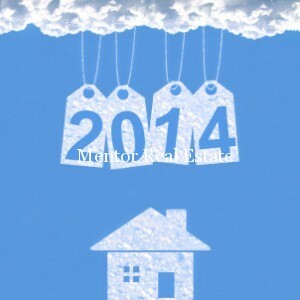 That is why 2014 will be good year for all of you who have similar property to get a good price for it. Less is more – Even in 2014 renters and buyer will keep its minimalistic approach when it comes to a size of a property and the way it is furnished. Smaller apartments are easier to pay off and they are still enough to organize living, but definitely cannot receive a lot of furniture. We advise not to exaggerate with furniture, focus to a main parts such as nicely equipped modern kitchen, bathroom and comfort beds, as everything else buyers and tenants will can always buy for a good price, so it won’t attract a lot of their attention. We wish you joyful and successful 2014!!! Winter is not the best time to rent apartments due to reduced demand at real estate market, however serious real estate agency has always joker for most devoted and the most persistent clients that are looking for their dream apartment during whole year. 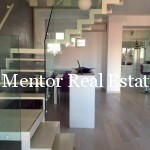 Mentor real estate has just launched irresistible offer of luxury apartment with a rounded balcony and astonishing views. At more than 160 sqm there are 4 bedrooms and 2 bathrooms and separate toilet. Apartment is rentedwithout furniture, however, at your favor is central heating and air conditioner, as well as TV and cable system with Internet. 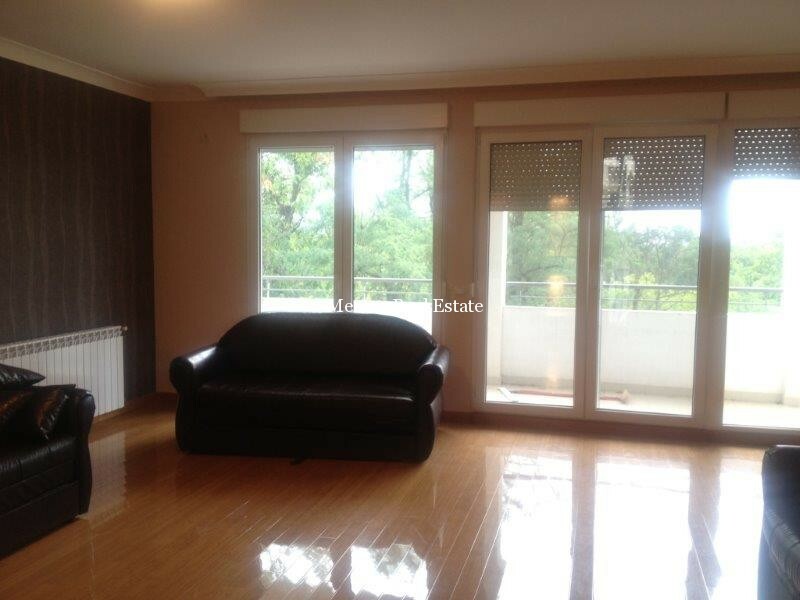 Monthly rent is 1500 euros and in this price is also included allowance for your own garage. 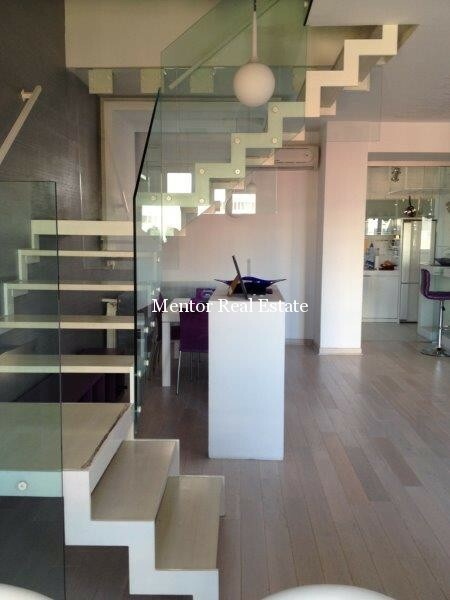 If you find this offer too expensive we have good alternative at 140 sqm in the same area at Dedinje near hospital. For a better price you will get 3 bedrooms and the same amount toilets and bathrooms. For 1000 euros you will get even a laundry and 2 terraces, as well as central heating, air conditioner, cable and satellite tv and Internet. The apartment is at your service furnished or unfurnished together with a garage for your vehicle. Small but comfortable apartment on 60 sqm, ideal for small family or young marriage couple that are just starting their life together. On 60 sqm you will get everything that you need: two fully furnished bedrooms, kitchen with living room and one bathroom. The apartment has installed central heating, air conditioner, , satellite and cable system and Internet. In a final monthly rent is included your own parkinmg place that is a problem at Voždovacwhere the apartment is located. This modern but warm apartment can be yours for 500€ per month. Renting an apartment is a serious decision and it and more of 2/3 of first time renters are making at least one of following mistakes. Some of these mistakes are repeated them even with more experienced renters. Read carefully following to save yourself unwanted costs and unnecessary troubles. Don’t bite off more than you can chew – Tenants without experience usually want to have everything in their rented apartments without knowing that a last price is influenced by every single convinience apartment is able to offer to us. Yes good location and public transportation nearby will add value to the property in the same way as it will do it extra parking place, tremendous view from a balcony or romantic fire-place. Be aware of this fact and think twice about the conveniences that you really need, to focus while looking for new apartment. Not calculating real costs of living in renting apartment – Most of first time renters are surprised with the amount they pay at the end of the month as forgetting about all utility costs that are not included in monthly rent. So try to get all the information about these costs when coming to see the apartment for the first time, in order to know real costs of living in the apartment that you like. Not seeing carefully apartment and the environment you plan to move in – Apart the troubles with cost and money big surprises are often noisy neighborhoods, unpleasant smells and dark streets without lights. Be inquisitive and try to speak with some of the neighborhoods about problems they might have in this area in order to cut these risks on minimum. Making bad lease agreement – Bad lease agreement is even worse than no agreement so try to include all the things that may be important for you as a tenant to protect your tenants’ rights and freedom. Forgetting about all small things that makes rented apartment your own home – At the end when first viewing your apartment try to find out what are the things that will stay even when you move in as sometime much of small things such as bathroom curtains, kitchen dishes, lamps and some of the electrons are not included so you may count on them, but at the end you will have to get your own. Few days ago New York Times has announced that Serbian real estate market is becoming more interesting for foreign investments and foreign buyers as Serbia is experiencing slow but evident economic development and as the day of entrance to European family is becoming more certain. As so Serbian Real estate market will grow in next years and New York Times advises that domestic agencies are supposed to focus on improving renting and selling services to foreign citizens and expatriates. In the following lines the most successful Serbian real estate agencies give advises to all of these who are interested to move to Belgrade and enjoy its pleasant atmosphere and busy and active lifestyle. 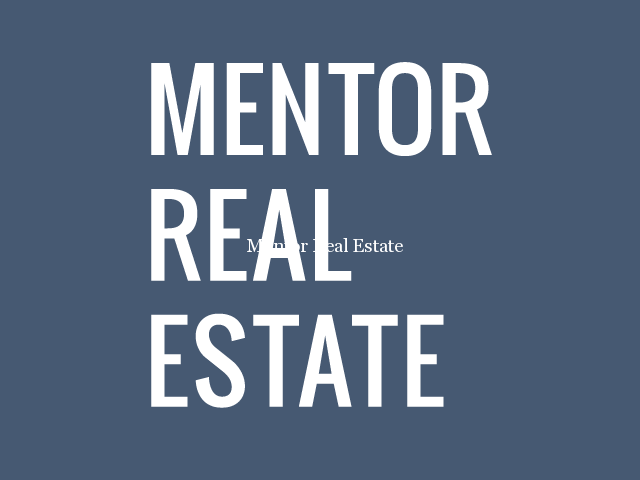 Among them there Mentor Real Estate agency present for 20 years in local real estate market and with more than 10 years of experience in a property business for foreigners. Pavle Ivanović, the owner of the agency had said for New York Times that, for investors it is best to buy a property of 100 square meters to 150 square meters. He admits that in the moment, the return might be lower from what it was before but he is sure that such rental property can return the cost of investment in eight to 10 years. Highly experienced in property business he further advice foreign buyers to concentrate on Belgrade’s central districts, the heart of the Belgrade and look for historic properties that have some face and character. “The image of Belgrade suffered under Communism,” he said, referring mostly to Novi Beograd, or New Belgrade, a concrete maze of apartments completed in the mid-1950s across the Danube from the city center. “The old houses had some face, but the new ones had no face, without character.” – he concluded. Other Serbia researches show that in this moment Belgrade’s real estate market still is dominated by local demand, with only 15 percent to 20 percent of the current rentals or sales coming from expatriates or Serbians returning to the country, however there are more foreigners that recognize Belgrade as interesting territory to start their business. In the moment foreigners are allowed to own residential property in Serbia as long as their country grants the same rights to Serbian citizens. Read more at New York times article ‘’Serbian Real Estate Prepares for a Comeback’’ or in print version of The International New York Times that was published on November 1, 2013. In real estate industry tenants and real-estate agents have their own secrets for getting the most for themselves when closing the property business, however both of them advice the same everyone that are entering the property business. No matter if you are looking for your own apartment or you are renting one to someone you should follow top three golden rules. Less is more – Pretty much as in everyday life less is more even in a property business. Here we mean to less furniture and less decorations if you want to rent your apartment sooner and for the better price. Modern furniture with a lot of details can be a good trigger for someone to pay a bigger sum of money, however an average apartment with universal furniture and not overload with stuff is more likely to suit more people, so the chance to rent it are far more bigger. Smaller apartment is better investment – While the demand for bigger and spacious properties is rising just in time without crises, smaller apartments are always actual. This kind of properties are interesting for both, those who are renting and buying them, as you can always count on great number of renters who are able to pay the price for them , so the return for these apartments is assured no matter the overall economic situation or periodic crisis. The only question is the price that you get, usually based on a current demand and offer at the local property market. Keep yourself out of troubles with lease agreement – Lease agreement is a must if you want to protect yourself of any kind of problem regarding the payment and all additional expenditures. After you have signed it you will probably have to pay some tax to the state, however with it both sides are well protected if some problem appears and one of the sides doesn’t want to solve it outside litigation. We are proud to present our new web site. Advanced search functions, property images and property map should help our clients get better insight on every property.